Rio de Janeiro is home to one of the largest urban forests in the world, as well as some ornate public gardens which were once the recreation grounds of royalty, business magnates and presidents. RIO DE JANEIRO, BRAZIL – The city of Rio is famous for its many natural wonders, but its parks and gardens are also well worth exploring. Whether designed by Brazilian architectural maverick Roberto Burle Marx, or as a former garden of the country’s Presidents, or even constructed especially for the city’s 2016 Olympic games, these parks and gardens, large and small, are the perfect place to spend a peaceful day out. Named after industrialist Enrique Lage and with a remodeled mansion designed by Italian architect Mario Vodrel, Parque Lage is an eternal favorite among the city’s locals and visitors alike, photo courtesy of Alexandre Macieira/Riotur. “My favorite park in Rio is the historical Parque Lage, located at the foot of the Corcovado mountain,” comments Tavi Noren of Rio Love Story. 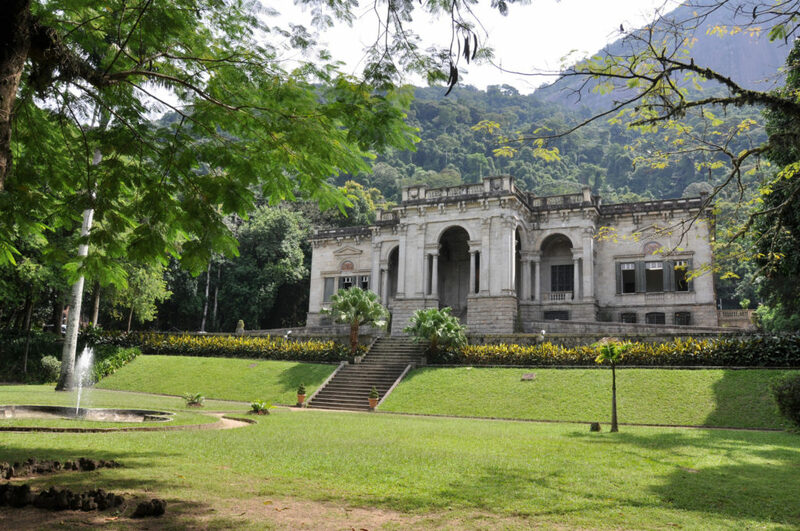 Parque Lage is a favorite among both cariocas, expatriates, and tourists, and it is often featured as a picturesque location by people filming in Rio de Janeiro. “One curiosity is that the park served as the end party scene in the Snoop Dogg video ‘Beautiful,’ which you can find on YouTube,” comments Noren. Just down the road from Parque Lage is the city’s Jardim Botânico (Botanical Garden). Founded by Dom João VI (King John VI) of Portugal in 1808, the garden contains around 54 hectares of greenery and botanical houses that support around 6,000 species of flora and fauna. The park, which has been open to visitors since 1822, including Albert Einstein in 1925, now houses a world-class research center, a shop, a children’s park and two cafés. The Palácio do Catete also houses the excellent Museu da República (Museum of the Republic) and was the Brazilian presidential palace from 1897 to 1950, where it famously bore witness to Getúlio Vargas’s suicide, whose blood-stained pyjamas are still on display today. The park is also the occasional site of the popular street market Junta Local. On Sundays, its grounds often host live recitals of choro (a popular music genre similar to samba) and other informal community musical events. 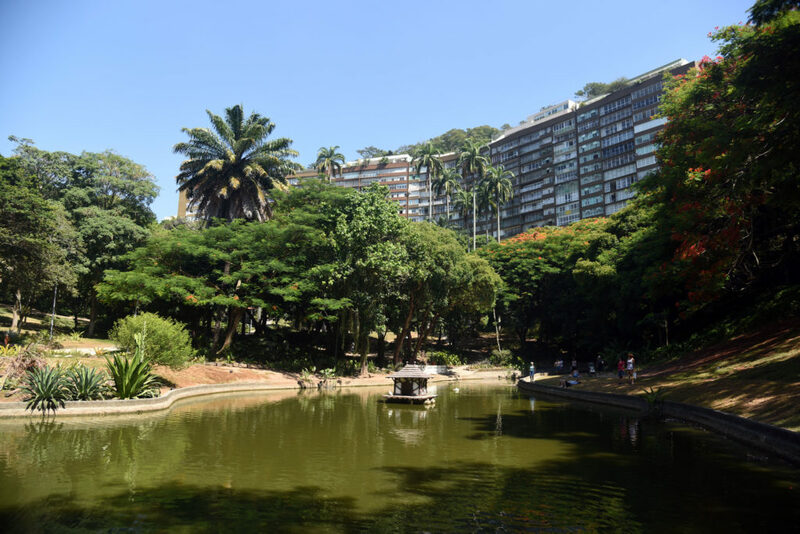 The former gardens of Brazilian businessman Eduardo Guinle, Parque Guinle, in Laranjeiras, is now a popular public park in Rio’s ‘Zona Sul’ (South Zone), photo courtesy of Alexandre Macieira/Riotur. “Kids can hit the trampolines and inflatables or ride a bike while parents can eat at food trucks or take a stroll,” he adds. For those looking for something closer to nature, Edwards recommends Parque da Catacumba, which is also situated by Rio’s famous Lagoa Rodrigo de Freitas (Rodrigo de Freitas Lagoon). “Parque da Catacumba is cool too because you can get lost in the woods and see critters like leaf-cutter ants. The kids really like it!” He concludes. Finally, for something outside of the city, Sítio Burle Marx is the former residency of Roberto Burle Marx, perhaps the most famous architect and landscape gardener in Brazil. His gardens now host over 3,000 species of plants while his house displays another 3,000 artifacts collected over the course of this creative genuis’s life. Around a one-hour drive from Rio’s Zona Sul (South Zone), this spectacular place is well worth the drive.